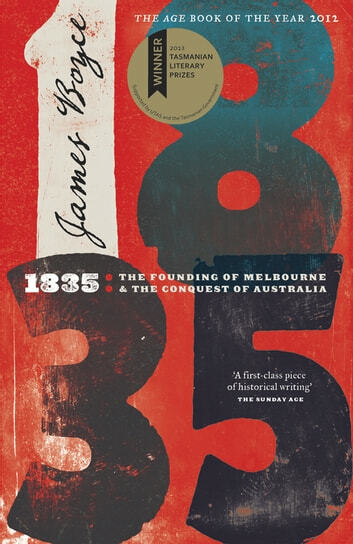 With the founding of Melbourne in 1835, a flood of settlers began spreading out across the Australian continent. In three years more land – and more people – was conquered than in the preceding fifty. In 1835 James Boyce brings this pivotal moment to life. He traces the power plays in Hobart, Sydney and London, and describes the key personalities of Melbourne’s early days. He conjures up the Australian frontier – its complexity, its rawness and the way its legacy is still with us today. And he asks the poignant question largely ignored for 175 years: could it have been different?